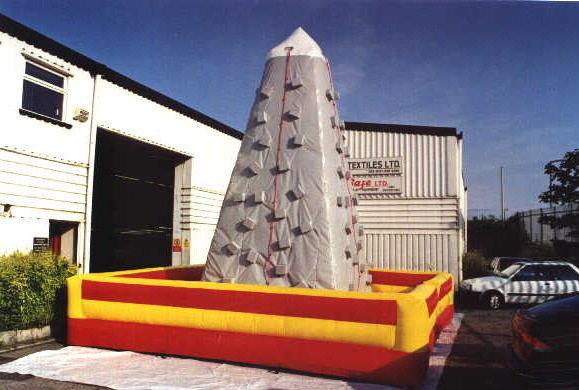 CDC has manufactured a wide variety of inflatable games over the years. 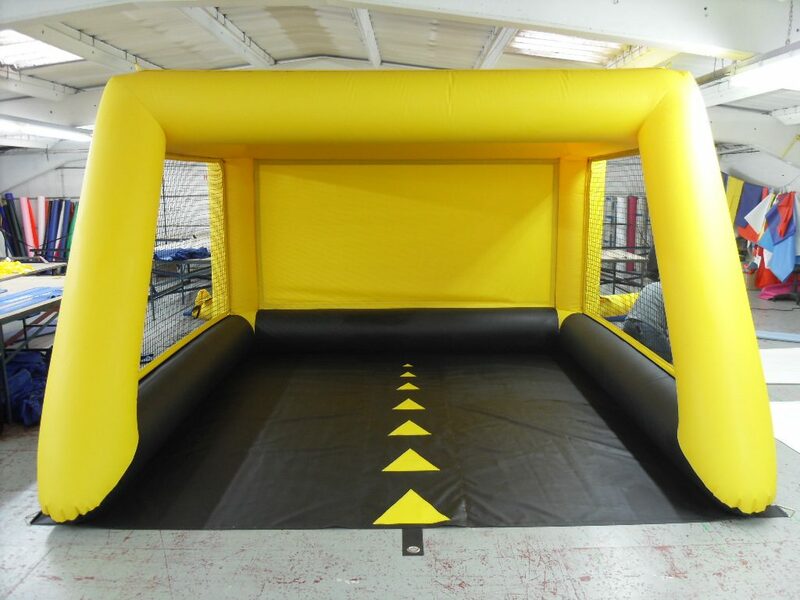 From inflatable sports pitches and goal posts to rodeo beds and climbing walls, we can create a full range of games for your event. 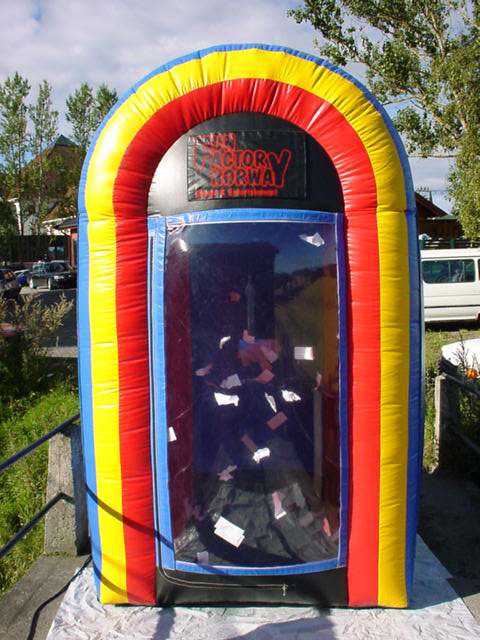 All our inflatable games are manufactured in 610gsm hardwearing PVC coated Polyester to unsure they stand up to the rigours of constant use. 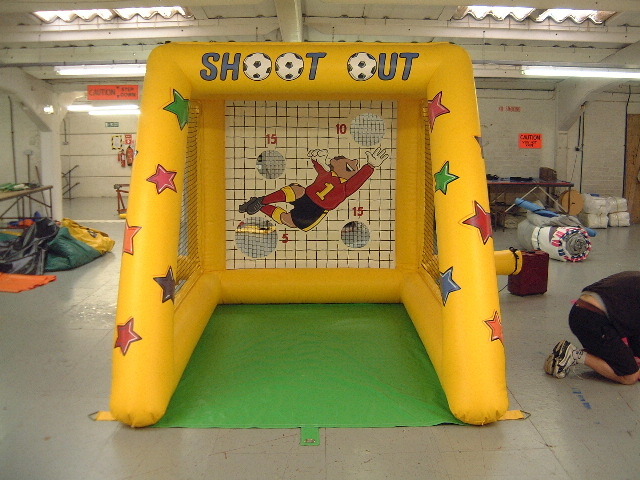 Our SHOOT OUT inflatable games are always in great demand. 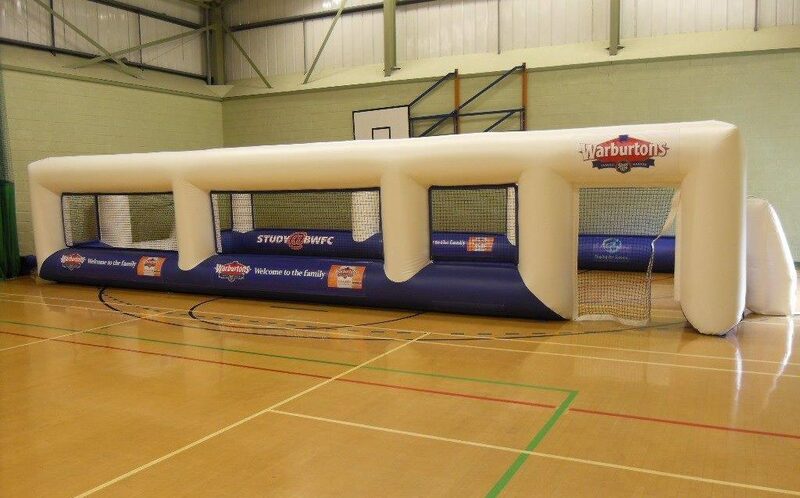 Available in a standard size of 3.5m long x 2.5m wide and 2.35m high, SHOOT OUT is ideal for indoor or outdoor use. 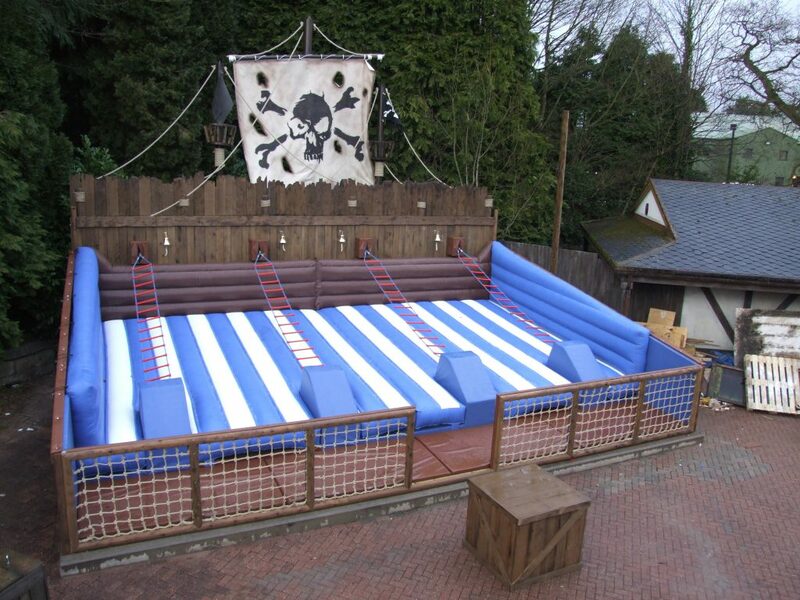 We can supply digitally printed interchangeable backdrops to vary the degree of difficulty or theme. 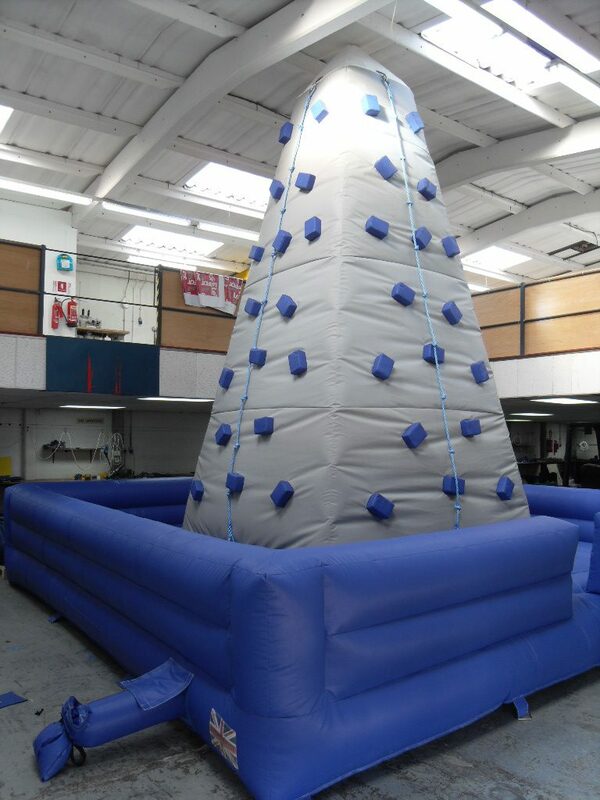 Artwork can be printed directly onto the fabric or onto removable velcro panels and can be personalised with the name and logo of your company or organisation. 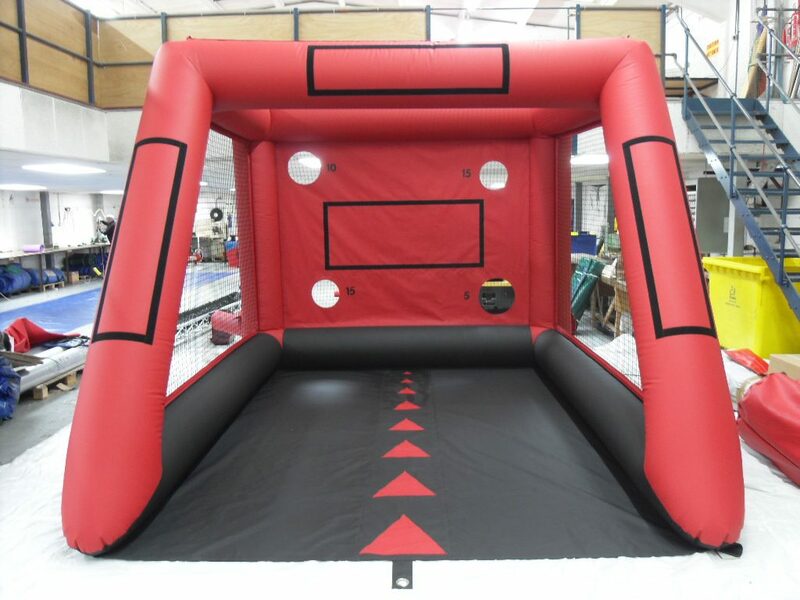 We can also manufacture Shoot Out inflatable games for Tennis, Golf and Cricket. 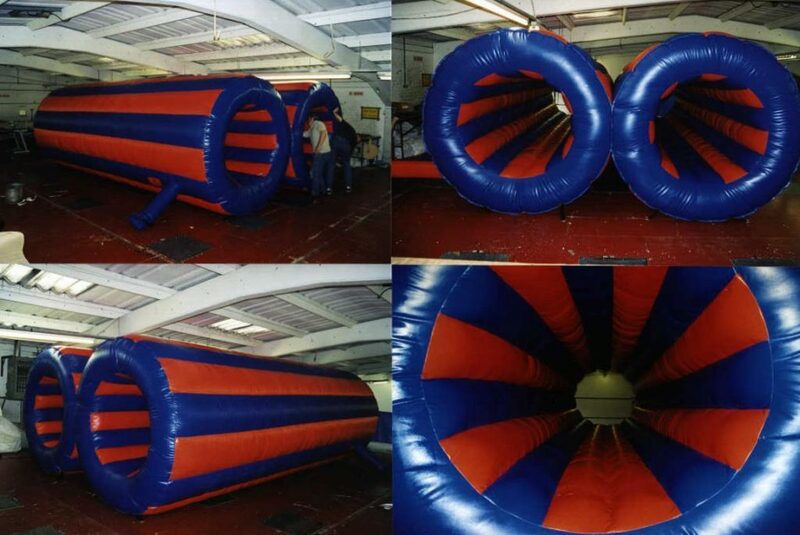 Our inflatable Shoot Out tunnels are ideal for target practice or speed measurement. 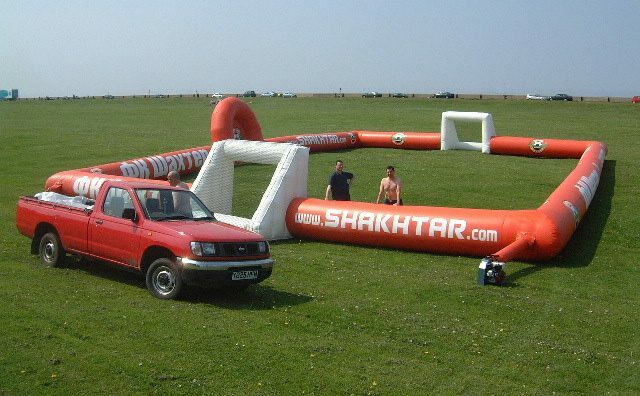 When used with a speed radar, the player can immediately see the speed of the ball they have kicked or hit. 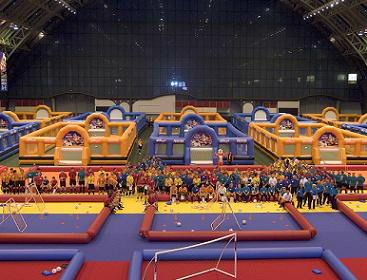 This enables players to compete with themselves as well as with others. 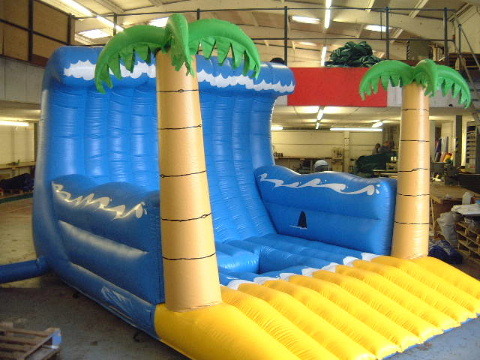 The whole inflatable game, including the fan, can be transported in the boot of a standard saloon car! 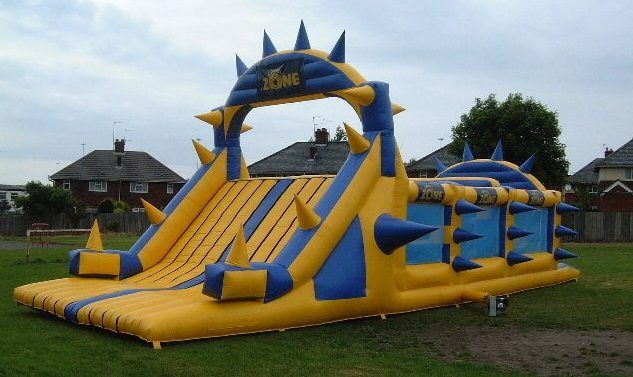 CDC also offers inflatable sports pitches in any size or colour you require, with full branding. 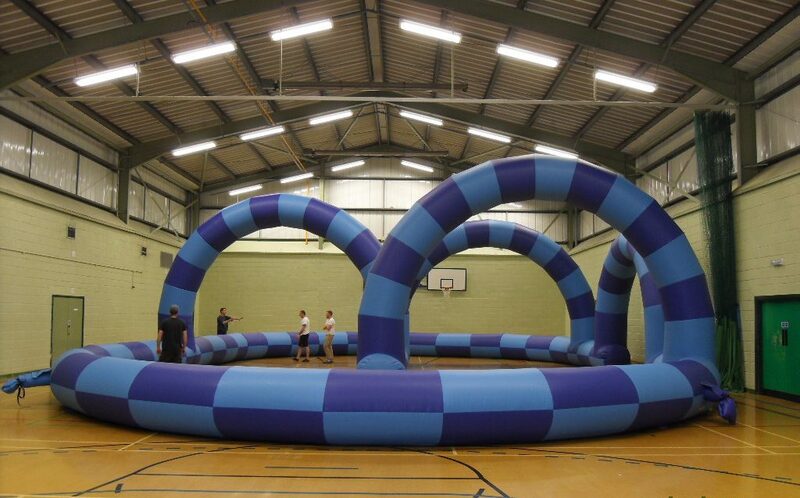 Single walled tube designs are the most popular, but we also offer the option to have high netted inflatable walls. 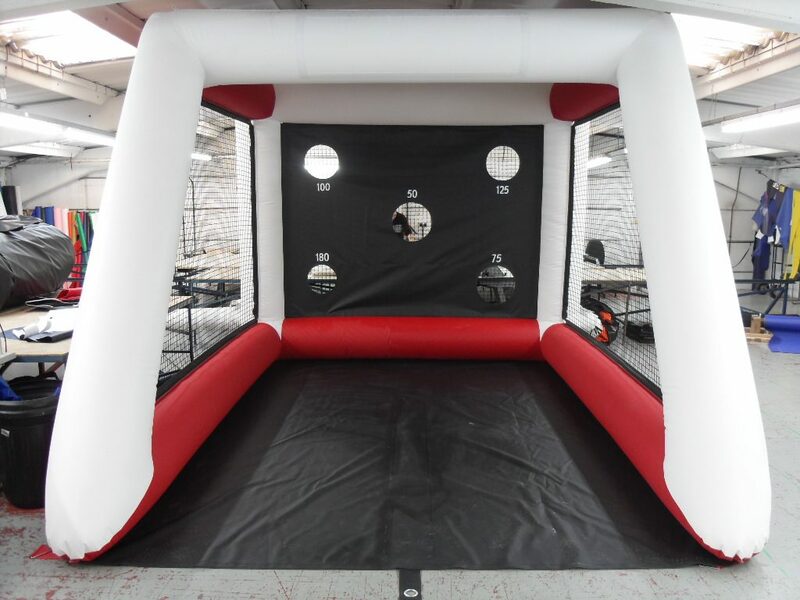 This enables ball sports to be played within, such as Tennis, Hockey, Badmington, Volley Ball, Basket Ball etc. 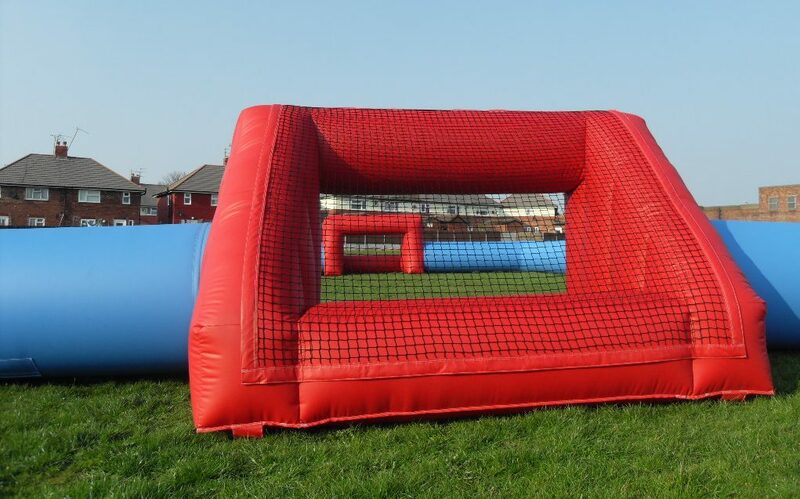 We can print directly onto the inflatable game surround or print onto Velcro banners so that the pitch can be re-branded or updated. 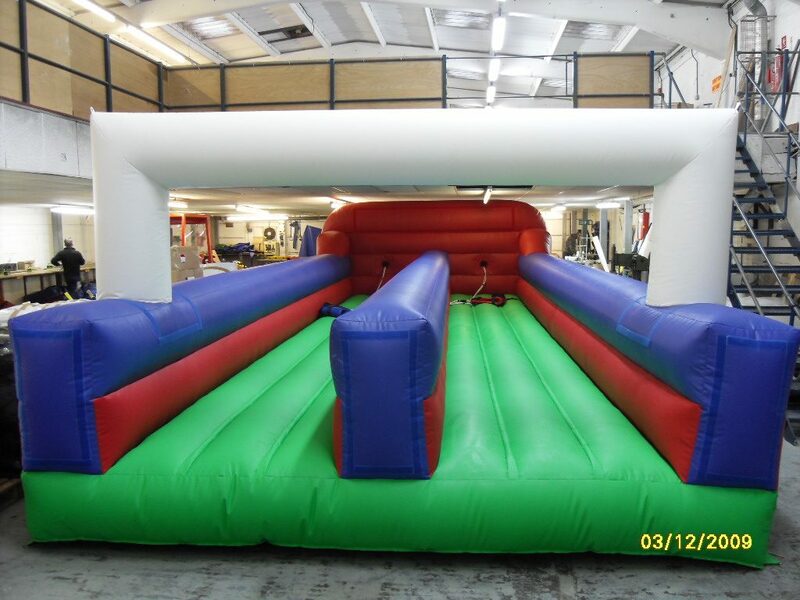 Have a look at some of the inflatable games we have already manufactured for our customers then give us a call to discuss your ideas.